This resonator guitar plugs in so you can be heard! The Dean CE Acoustic-Electric Resonator Guitar features a modern body design and electronics. 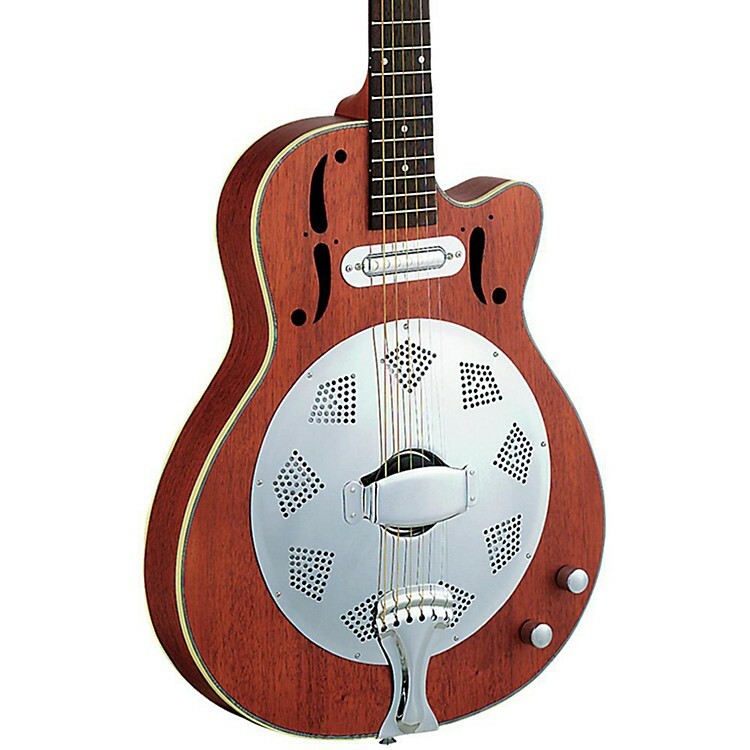 The resonator guitar has a mahogany top, back and sides, a mahogany neck, and a 21 fret rosewood fingerboard. The cutaway body lets you reach the upper frets. Grover tuners make a cinch to get in tune and stay there. A Dean "lipstick" pickup has controls for volume and tone so you can plug-in and be heard in any setting.